In 2017-2018, Sarah Ganty will be undertaking an LL.M. 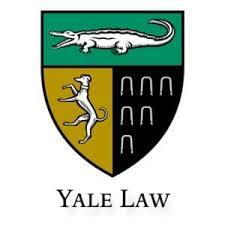 at Yale Law School (New Haven, U.S.). This LL.M. program brings together about 25 students selected from all over the world. During her year at Yale Law School, Sarah intends to develop her research in anti-discrimination, human rights and immigration law and acquire a solid understanding and command of American law, research methods, foundations of legal scholarship and legal writing. She also would like to lay the foundation of a comparative study of integration of migrants from a legal perspective including EU and American law. Finally, building up her interdisciplinary background and learning from the legal clinic system at Yale are also among her objectives. In order to support Sarah in her endeavours, the Fulbright Commission and Yale Law School have each granted a scholarship to Sarah. Sarah has also received loans from the Fondation Fernand Lazard and Yale Law School.